Lena Wallace was supposed to go to Italy on her honeymoon. That was sixteen years ago. Instead, she settles for cooking Spaghetti Bolognese for her two children while her husband, Alex, is on yet another business trip to Florence without her. Lena deals with his absences in the same stoic way she deals with all her responsibilities. And then comes the call that changes everything--the one from Alex's Italian mistress. 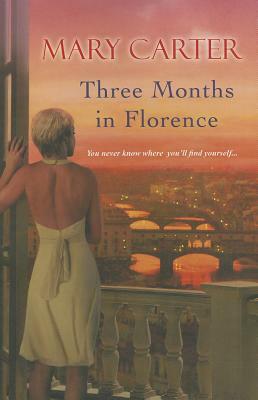 Stunned and heartsick, Lena flies to Florence to confront Alex. The city is every bit as beautiful as she imagined, from its glittering fountains and cafés to the golden sunsets over rolling hills. But the further she goes to salvage her marriage, the less Lena recognizes herself--or the husband she's trying to win back. Instead, she's catching glimpses of the person she once hoped to be and the life and family she truly wants. Most of all, she's wondering if the real journey is only just beginning. . .